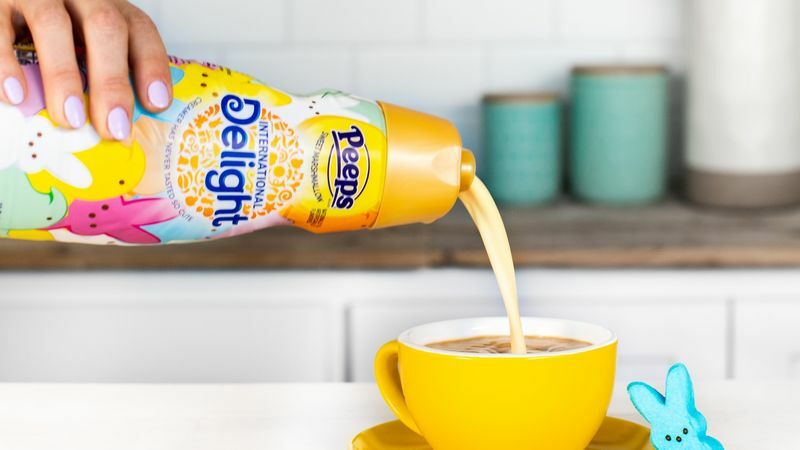 These Easter marketing examples range from festive marshmallow beers to specialty Easter egg-topped donuts. While Texas-based brewery The Collective Brewing Project created a remixed stout incorporating marshmallow Peeps candies last year, Canadian coffee chain Tim Hortons' latest offering is a Cadbury Mini Eggs Donut which boasts tasty candy toppings which are placed atop grass-like sprinkles. Other Easter marketing examples to note include ASICS' GEL-Lyte III 'Easter' pack which was released last year in a pastel color selection and The Peep on a Perch box set. Released by Peeps, the box set consists of a storybook and plush toy that is an Easter-themed take on popular products like Elf on a Shelf. Costa Coffee's Easter Menu is another fun marketing example and highlights seasonal treats that are as Instagram-friendly as they are delicious.